The Appleseed family has an apple orchard. 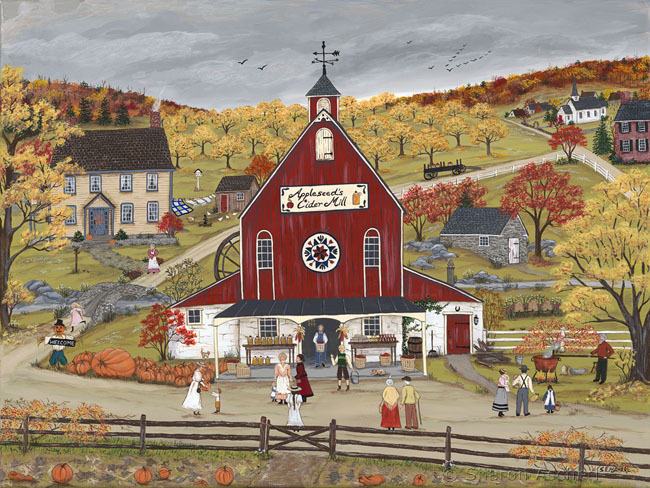 Every fall they open their cider mill where they sell apples, fresh, pressed apple cider, apple butter, apple cider donuts, pumpkins, and honey from their hives. Grandad is making the apple butter in the giant copper pot, and grandmom is bringing more freshly made donuts down from the house. Mom, dad, and the children work down at the mill most of the day.